The Alternativ range proposed by Marina Vape, the American Manufacturers of the E Liquid for all Electronic Cigarettes. 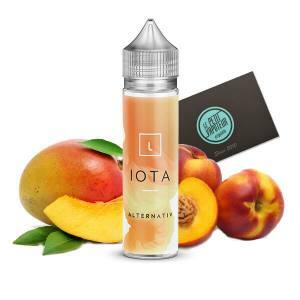 Each Alternativ E Liquid is fresh and fruity. Find the unique flavours of (Alpha, Beta, Delta Iota, Omega), available in a 50ml bottle for pleasure. The Alternativ E Liquid is in 30/70 PG/VG to offer you a beautiful quantity of vapor. Tha American Manufacturer Marina Vape proposes the Alternativ Collection, a collection with 5 fresh and fruity recipes. 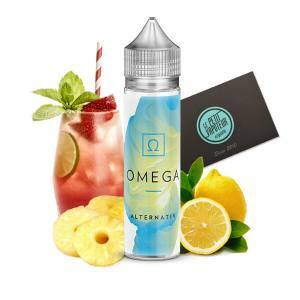 You can find the Alpha E Liquid of Apples, Grapes and a beautiful touch of Mint, the Beta wih a mixture of Apple, Peach and fresh Mint, the Delta with a Watermelon accompanied with Strawberries, Iota E Liquid with sweet Mango and a hint of Peach aswell as the Omega, a mixture of Strawberry, Mint and Lemon. Each Alternativ e liquid without Nicotine, can be associated one or more Nicotine Booster.